Deer can come out of nowhere when you're driving — and the autumn months can be the most dangerous of the year. So what can you do to avoid hitting the animals while in your car? Inside Edition spoke to State Farm's Dave Phillips about how to reduce the dangers. First, he said, don't swerve to avoid a deer if you spot one crossing the road in front of you. "If you swerve, what could end up happening is you could lose control of the vehicle, you can go into oncoming traffic and hit another car," Phillips said. "You are going to want to hit that deer." He urges slowing down as much as possible, pumping the brakes, and not slamming on them, to "glide" into the collision. "You should be wearing your seat belt, so that should help with the impact," he added. Phillips also said to make sure you pay attention to the yellow warning signs that line the road — they're there for a reason. Finally, he recommends turning on your high beams. 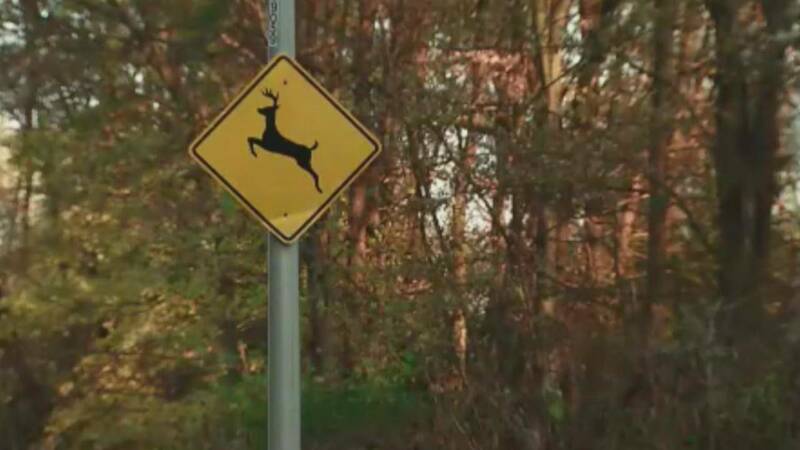 "High beams are great, especially if there are no other vehicles coming because they can give you that much more periphery on the roadway, potentially seeing deer," he said. And remember: Deer are typically most active at night and in herds. So if you see one, there's a good chance there are others around.